Now, when I saw “awful,” I of course mean totally great. 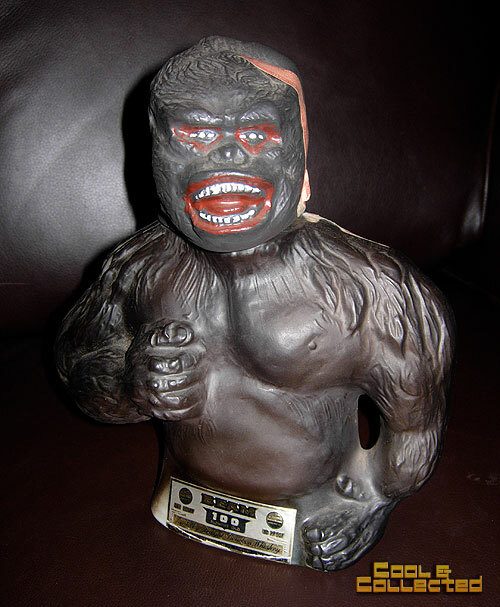 This ugly guy is a ceramic whiskey decanter put out by Jim Beam in 1976 to celebrate the Dino DeLaurentiis King Kong movie. Why? I have no idea, but I sure am glad they did. Just look at the big ape, seemingly holding a shot glass in his giant mitt, laughing it up like he was just told the funniest joke about Godzilla’s manhood. This ape has some wacky proportions, and looks like a harry dwarf. And check out how you get the whiskey out of the bottle — you have to decapitate the King. Off with his head! The back of the bottle is strangely concave, I guess to make it easier to hold as you drink from the ape’s neck. It is weird, though, almost as if they scooped away his entire back with an ice cream scraper. I don’t know why, but ugly things like this appeal to me on a level all their own. 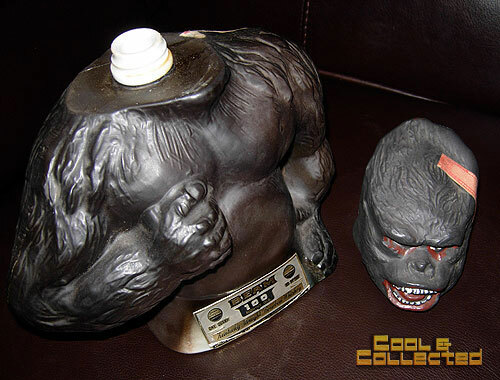 And luckily for me, there are a lot of ugly King Kong items out there. You can fairly easily get one of these decanters for your very own on eBay for under $20 — money well spent. I proudly display this in a place of honor in my cave, and every time my lovely wife sees it, she tries to move it behind one of the less disturbing items on the shelf. Don’t worry Kong, I’ve got your scooped-out back, and will always return you to the place of honor. 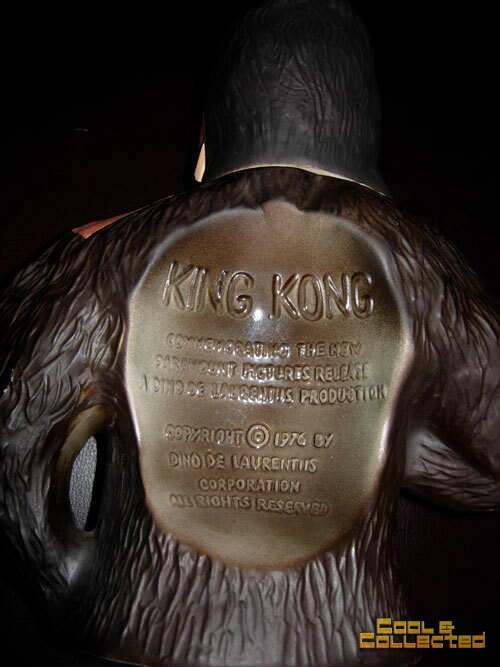 do you think this king kong bottle would be worth anything if it was unopened with origanal seal unbroke on it? I’m sure it would be worth more than the one I have but I have no idea how much it would be worth. I’ve never seen one at auction before. 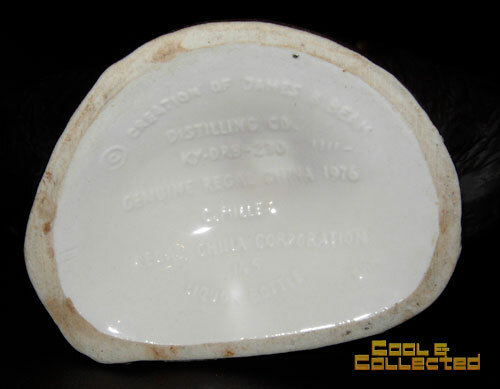 I have this exact decanter unopened. I would sell mine for $50, but it is probably worth a little more than that. Liquor stores will not buy them.